Second Annual Winter Clothing Donation to The City Mission Shelter - Planet Aid, Inc. 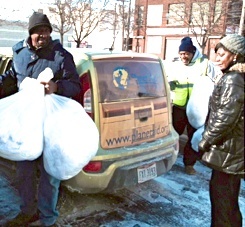 Planet Aid will once again be donating cold-weather items to The City Mission homeless shelter in Cleveland, Ohio. A drop off is scheduled for early February. Planet Aid will also be collecting and delivering new socks and underwear to donate to the shelter throughout the month of February.